Tina Marie Hernandez, Executive Director, Diveheart, visits our club. 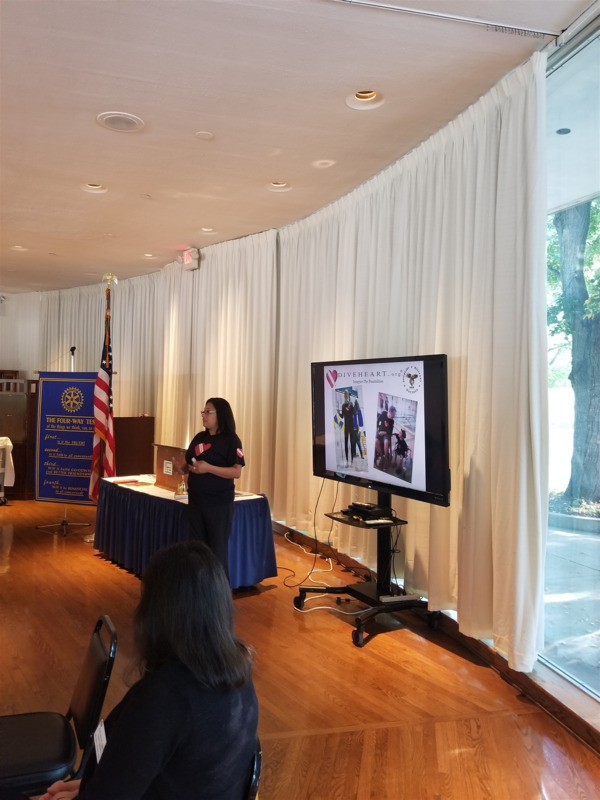 Tina Marie Hernandez stopped by the club recently to discuss the work that Diveheart does. 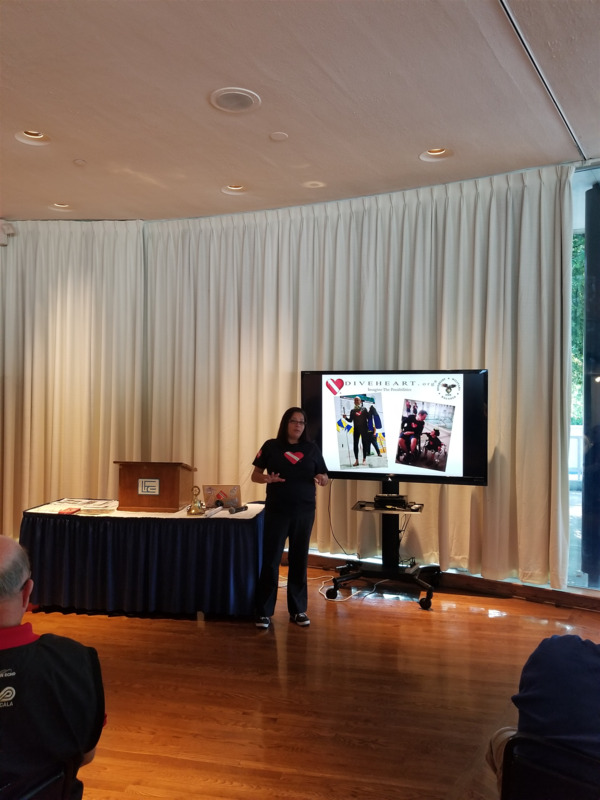 The mission of Diveheart is: "To build confidence, independence and self-esteem in the lives of children, adults and veterans with disabilities through scuba diving, scuba therapy and related activities". We thank member, Marc Munder, for this dive into the human spirit.